Do you reside in San Carlos, CA area and are accidently locked out of your car/home? Don’t waste a single second and callSan Carlos Locksmiths’s 24x7 professional locksmith team. Lockouts are a bad deal for anyone and gets worse with each passing second. The key to resolving a lockout situation lies not just in the actual resolution, but the speed at which it is delivered. Unfortunately, many people remain stuck for hours before getting rescued by someone. Don’t let that happen to you! Always call a reliable expert for help. The most fundamental mistake we all commit is trying a self-fix method to get rid of the situation. Locks are complicated devices that are built to protect your car or home from external threats. They cannot be broken or unlocked by an untrained person. Many would impatiently smash the windows of their vehicles or violently attack their locks to regain access. These actions will only cost you more money and may even lead to severe injury. If you ever come across a flashy advertisement of a locksmith serving in your area despite operating in a totally different area, don’t fall for it. Many locksmiths claim to cover different areas of the city but fail to reach your location on time leaving you stranded for hours. 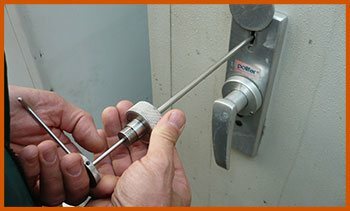 San Carlos Locksmiths is a 24-hour locksmith agency that provides wide coverage in San Carlos, CA area and assures a quick resolution to any kind of lock or key related issue. We have 10+ years of experience and have helped countless residential and automotive clients with timely locksmith action. Locked out of car/home in the middle of the night? No problem. 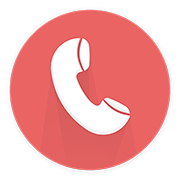 We have a team of standby locksmiths that monitor distress calls throughout the night. If you are stranded in a deserted area on a chilly night or can’t get back inside your house after a long day at work, place a call on our 24-hour helpline and we will get you out of trouble in an instant! Time is a key factor in resolving a critical lockout situation. We understand this and own a fleet of mobile locksmith vans that can reach anywhere in the region within just 15-20 minutes.